Loddy Rufus Gailey was the third child of JW and Mary Gailey. 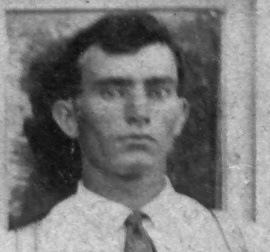 Loddy was born July 23, 1886 in Eastland County and he died July 17, 1972 in Strawn, Texas. He was first married to Carrie and after her death he married Jimmie. He did not have any children. Loddy inherited the final JW Gailey headquarters land south of Thurber. He sold out and moved to Strawn where he lived his remaining years.